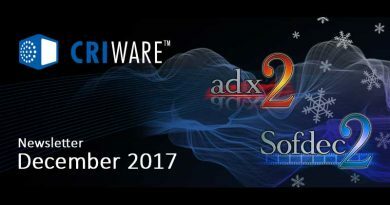 【海外ニュースレター配信：2018年4月】 CRIWARE News: new pricing, VP9 support in Sofdec2, Unite in Beijing and more! Developing with Unity? During Unity’s May Madness (April 30th – May 13th), you can purchase the “ADX2 Unity Plugin” at US$49 (50% off)! Visit the ADX2 Unity PlugIn website today to learn more about the amazing audio features it offers! In this issue: VP9 support is coming to Sofdec2, a new pricing for CRIWARE, meet us at Unite in Beijing and learn how to change the unit of the timeline in AtomCraft. Sofdec2, CRIWARE’s ultra-optimized codec and versatile video playback system is getting even better! Indeed, the new version of Sofdec2 is adding support for VP9 on the PC, iOS and Android platforms! Other platforms can of course still use the Sofdec2 Prime codec. All features currently available with Sofdec2 Prime, such as alpha-channel or seamless concatenation will gradually become available for VP9. Compared to H264, which is the other codec supported by Sofdec2, videos encoded with VP9 are half the size, although the CPU cost is higher. So now you have even more flexibility and you can carefully balance your resources when displaying videos! 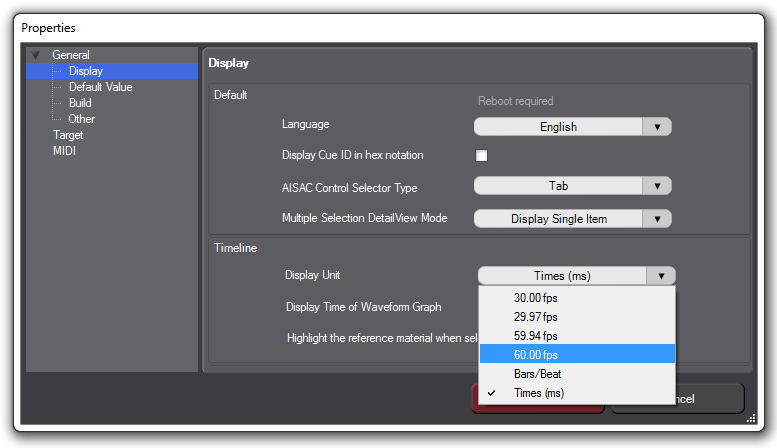 Need to play high-quality movies in your application with some extra effects and playback modes? Time to try Sofdec2, used by top developers like Bungie, for example for Destiny! We are thrilled to introduce our new subscription licensing option for CRIWARE. Of course, our flat fee license option is still available for those who prefer it, and we also have a very special offer which is sure to please Chinese game developers! CRIWARE will be a Silver Sponsor of Unite Beijing 2018, which will take place at the National Convention Center from May 11th to May 13th. 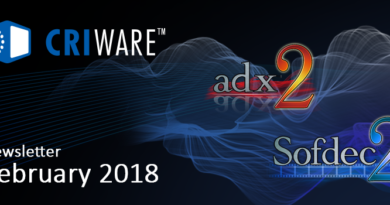 Come to learn all about the amazing new features of the Unity game engine, and visit us to check the latest versions of ADX2 and Sofdec2, including the brand new AtomCraft authoring tool version 3.0, working both on PC and Mac, and the McDSP plug-ins for ADX2! Don’t miss the presentation by Vanguard Sound, our CRIWARE Certified Studio partner in China, about the advantages of using a game audio middleware for the development of your application! This month, let’s see how to change the time unit of the timeline in AtomCraft. At the top of a Cue when it is being edited, there is a scale that allows you to see the accurate position of the waveform regions on the timeline. The unit of that scale can be specified in the options of the tool. To do so, go to the “Tool” menu of AtomCraft and select the “Properties” command. In the left panel of the window that appears, select “General->Display”. The display unit can be chosen in the “Timeline” section. Various number of frames per second (fps) are available. They correspond to typical game frame rates. It is also possible to select milliseconds or bars/ beats (especially useful for interactive music) for the unit. Even better, you can override that setting at the Cue level! Click on the small button that looks like a clock or right-click on the scale to open the timeline unit menu, as seen below. You can then choose between using the global time unit you specified in the properties earlier, or a unit local to the selected Cue. In that case, a small orange dot, similar to the one representing a Cue in AtomCraft, will appear as an overlay on the top of the clock button. This indicates that the Cue’s time unit is being used. This feature is very useful. 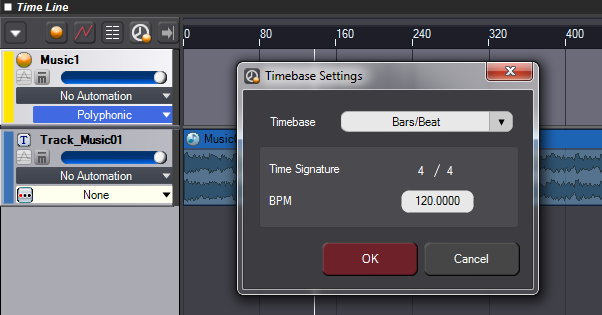 For example, you may want to set the tool’s time unit to milliseconds to very accurately edit all the waveforms of your sound effects on the timeline, but switch to bars and beats when working with blocks for interactive music. In that case, you will be able to specify the time-signature and the BPM, as shown below.